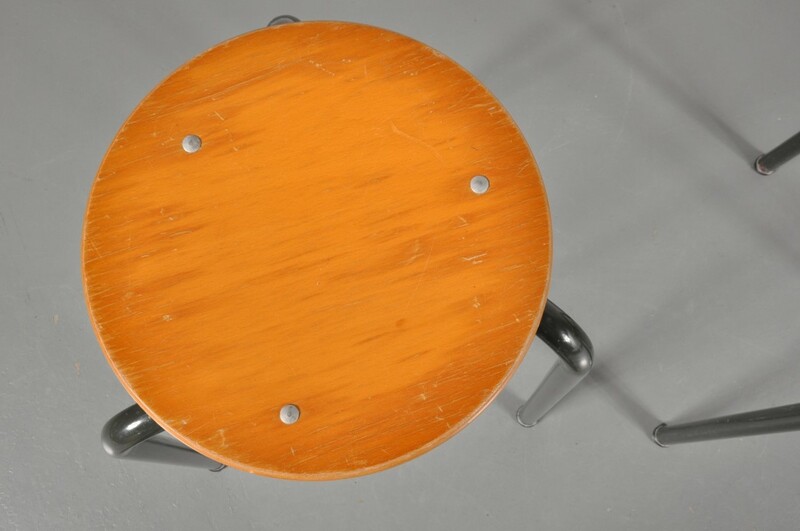 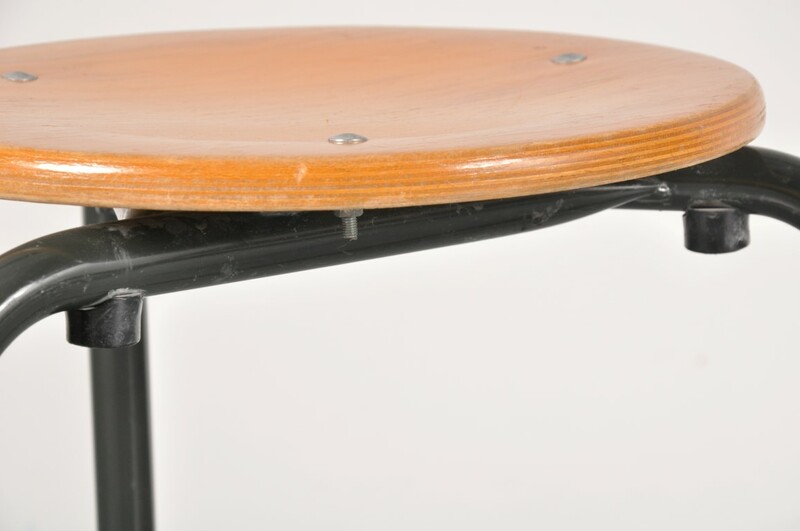 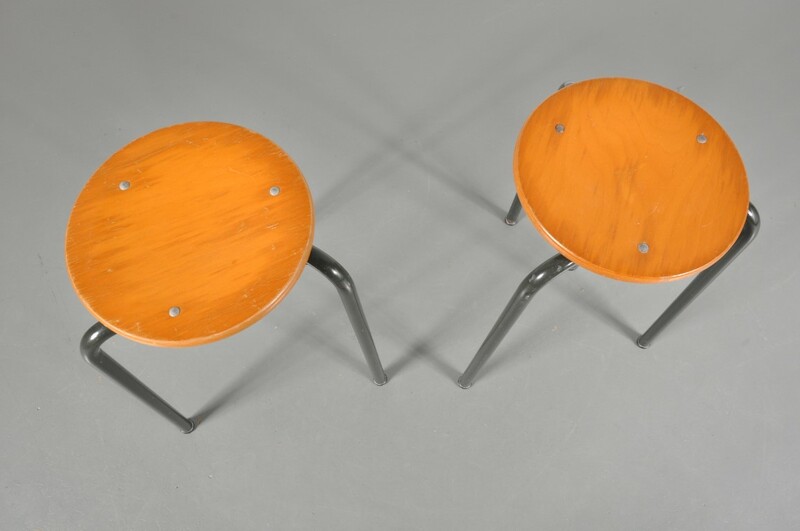 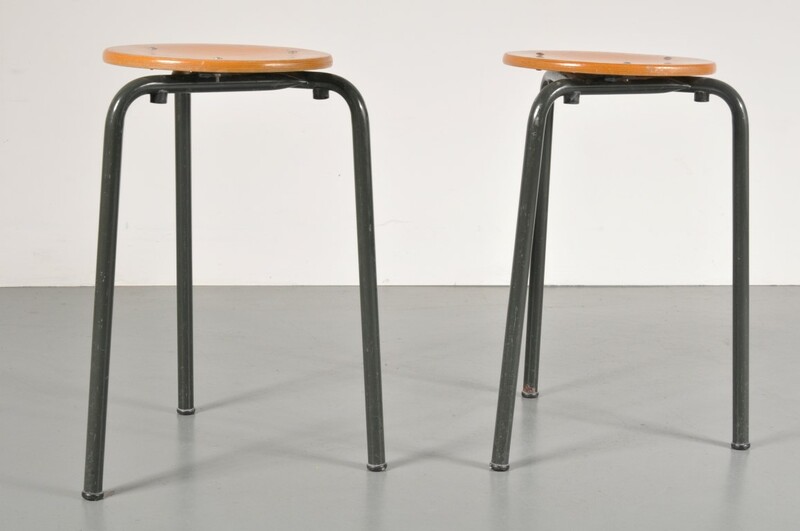 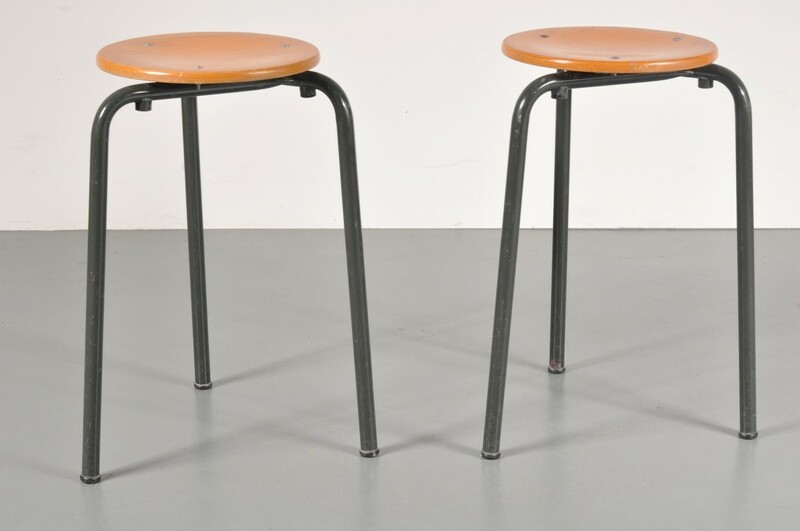 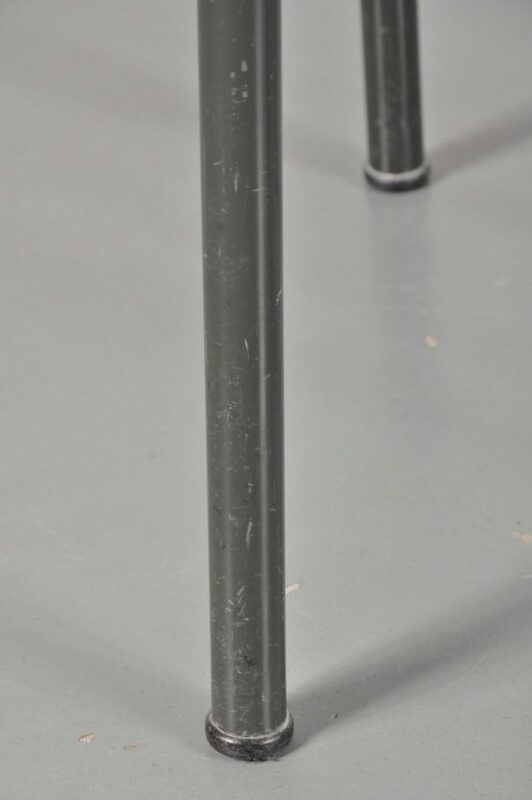 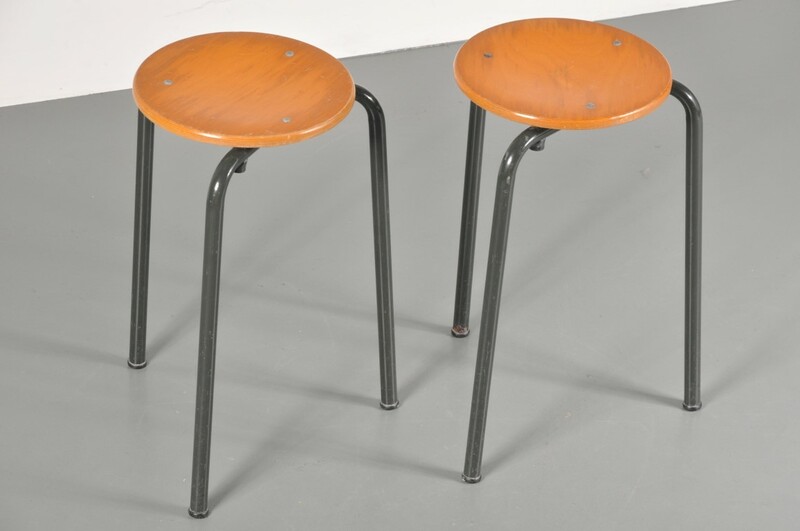 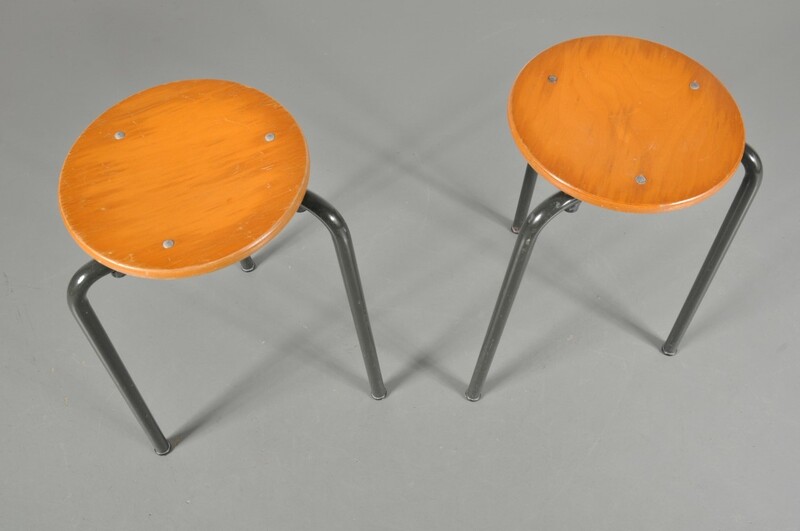 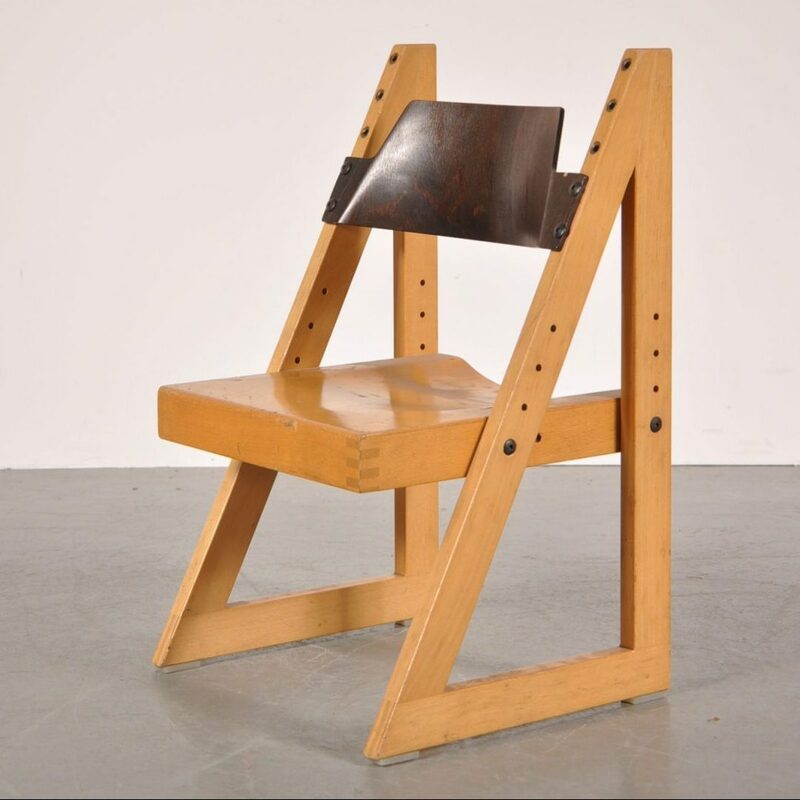 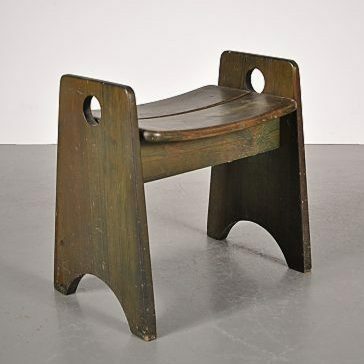 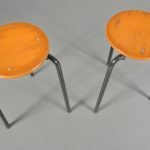 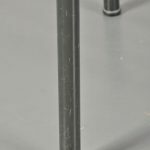 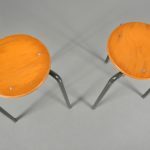 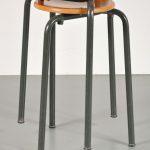 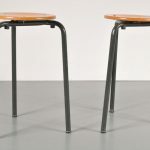 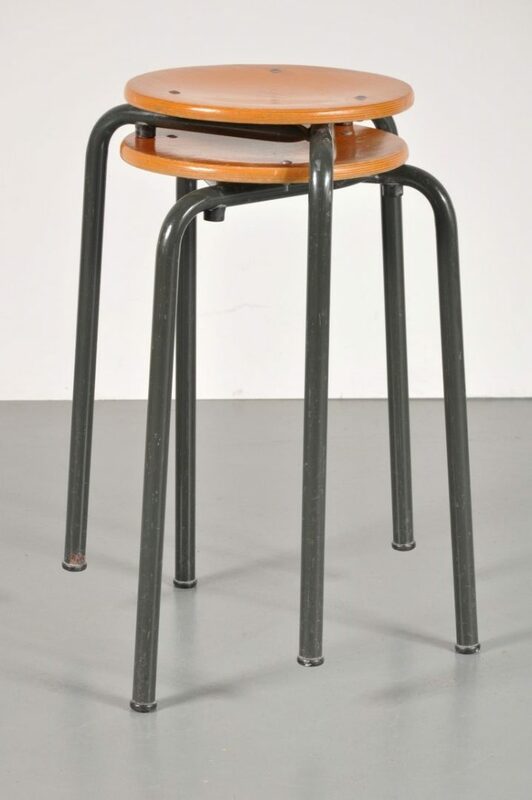 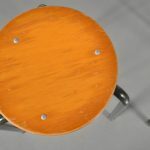 These industrial styled working stools have three grey lacquered metal legs holding round plywooden seats. 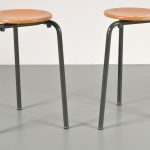 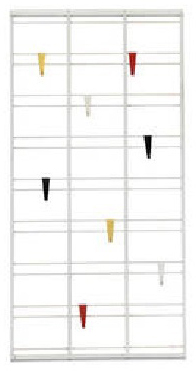 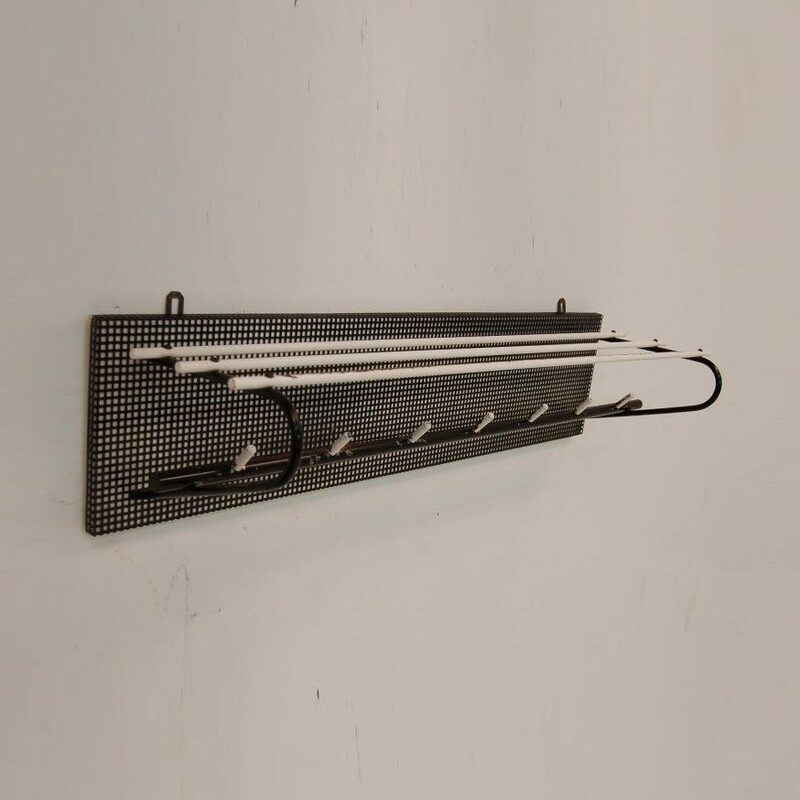 Their industrial style reminds of the famous designs by Jean Prouvé and matches perfectly within a modern or industrial interior. 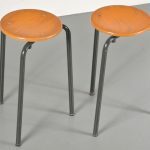 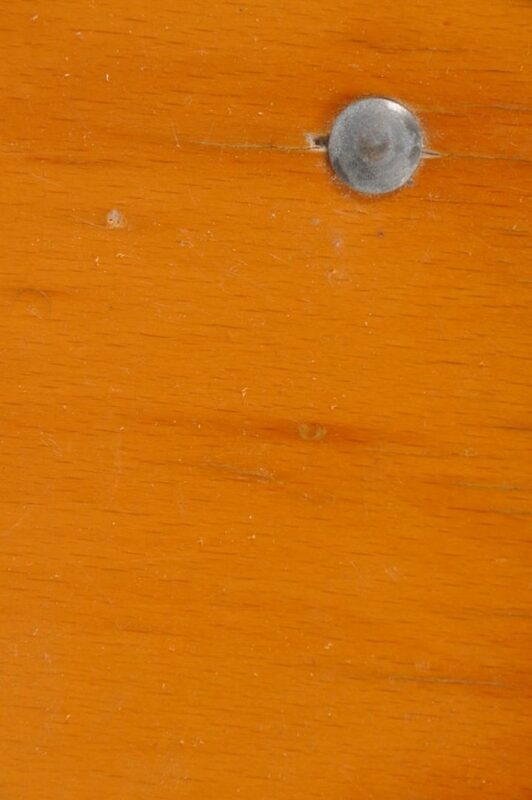 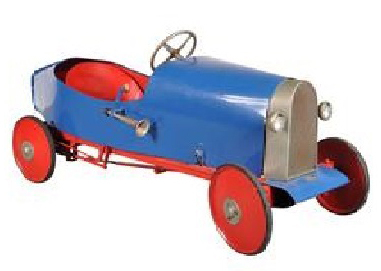 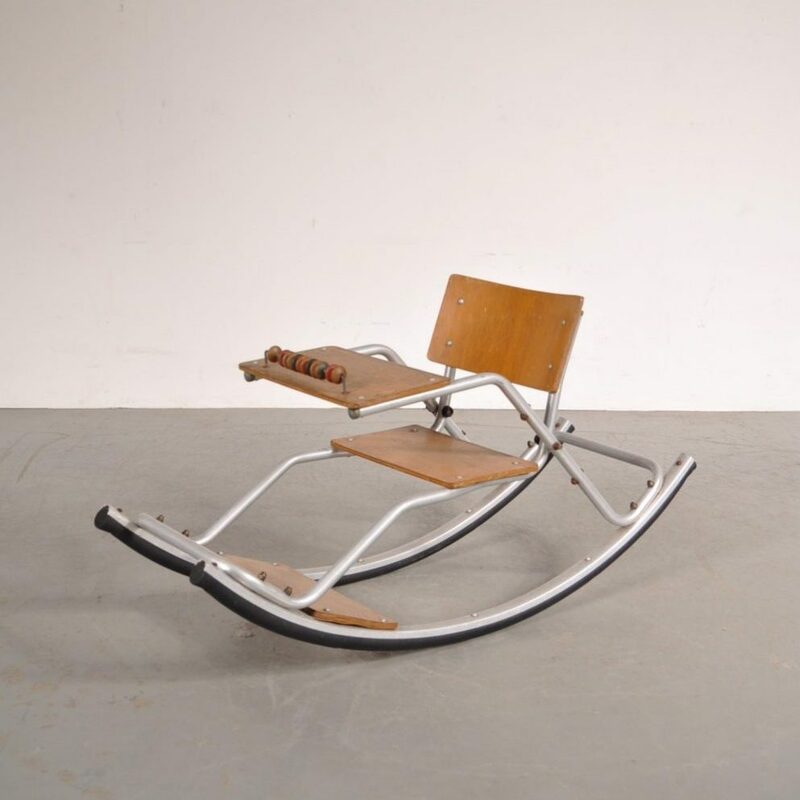 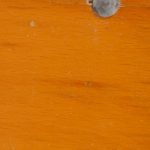 They remain in good vintage condition with minor wear consistent with age and use, preserving a nice patina.